Warehouse & Distribution « ITOCHU Automobile America Inc. 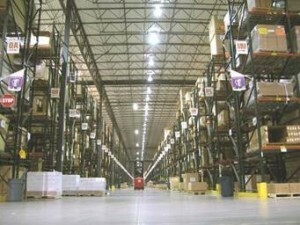 The heart of IAAI is our clean, modern, high bay, VNA Distribution Center in Cincinnati, Ohio. Cincinnati is perfectly located to reach the maximum amount of customers, at the lowest cost. At 465,000 square feet the building handles thousands of lines each day. Current customers include Asian and domestic (US) manufacturers, automotive tier suppliers and aftermarket parts makers. Our master facility includes an integrated FedEx Hub. Sorting the actual air shipping containers inside of the warehouse allows the latest pull times for customers who need that special expedited shipment at the last minute, guaranteed next morning. Our Mira Loma Parts Distribution Center at 155,000 square feet is located in the East suburb of Los Angeles, CA. and can easily access to I-10 and I-15 highways. 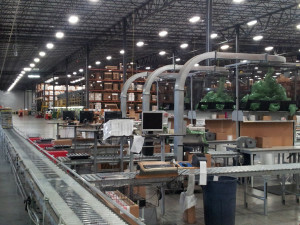 IAAI manages all aspects of distribution for our customers including fulfillment, Import/Export and reverse logistics. Sequencing is also available for manufacturing customers. We are proudly providing World Class Quality Services to Automotive Industry customers in our clean, well-organized and safe facility. Both the Cincinnati and Mira Loma Distribution Centers are certified by ISO 9001 and C-TPAT.